The Electronic Frontier Foundation (EFF) announced this week that it’s put an end to the threat of content creators being sued for recording and distributing podcasts, after a court ruling affirmed that the patent for the process was invalid. 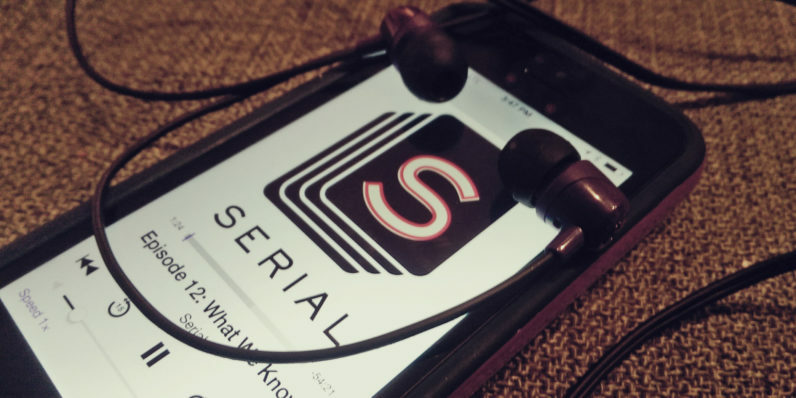 In 1996, a Beaumont, Texas-based firm was granted a patent for ‘disseminating media content representing episodes in a serialized sequence,’ which came to be known as podcasting. The company, which is called Personal Audio, failed at its attempt to make an audio player and its founder claims to have sunk $1.6 million into the effort. It still made money, though, as it managed to sue the likes of Apple for infringing on a patent it held for creating music playlists to the tune of $8 million prior to the launch of the iPhone 4S. After that, it began going after podcasters like Adam Carolla, HowStuffWorks, and even large entertainment networks like CBS and NBC because it believed these creators were infringing on the patent it received in 1996. The EFF launched a campaign to ‘Save Podcasting‘ back in 2013 to not only raise funds to take Personal Audio to court, but also to unearth earlier examples of the same method of creating and distributing content. It’s what known in legalese as ‘prior art’, and the EFF found efforts like episodes of CBC’s Quirks & Quarks science magazine, and ‘Geek of the Week’, a program created by technologist Carl Malamud, who set up the first-ever internet radio station, and releases by CNN. …the cost of negotiating and setting up a patent license is not trivial. As such, it does not make sense for us to deal with hobbyists, non-commercial ventures, and small entities. The economics of it would be prohibitive. As such, we will be focusing on the largest users of our technology and those that collect significant revenues from ads placed on their podcasts or episodic video content, or who gain commercial value from that content in other ways. Finding good information on this score can be challenging, however, so we can’t be certain that our efforts are always perfectly aligned with our strategy. Personal Audio’s patent claims were ruled invalid by the Patent Office back in April 2015; the court ruling from yesterday affirms that decision. But it may not be the end of this battle, as the company can still appeal to the Supreme Court. Given that it doesn’t do anything except collect royalties, we should expect another case from Personal Audio in the future.